Keep Your Greek, is a blog that aims is to assist those who want to keep working on their Koine Greek on a regular basis. For those who follow this blog, a Keep Your Greek post will be sent to your inbox each Monday for you to work on during the week. The posts are not intended to teach anything new, but rather provide an opportunity to ‘chip’ away at the Greek, by spending time in the text, vocabulary and paradigms. It has been designed for those who have completed some Greek, either formally or informally. For those without any Greek, but have a desire to begin, simply learning the alphabet from a website or a grammar and completing the daily reading, would in my opinion go a long way to helping you on your journey. Comprehension of the language is a slow and steady process as you grapple with: vocabulary, grammar and syntax, which some people can learn well on their own while others need to learn in a formal class setting. After completing a year of Introductory Greek at Melbourne School of Theology in 2013 with Peter Orr and a further six months of Intermediate Greek with Greg Forbes in 2014, I realised that I had only scratched the surface of this fascinating language. Following on from this, I wondered how I could keep improving in my Greek after having laid quite a solid foundation at MST. It was during June 2014 that I began sending weekly emails to my class colleagues as an aid to keep me in my Greek but also to help them. After six months of doing this and being in the Greek on a daily basis, I noticed a decent amount personal improvement—although I realised that this would need to be a lifelong process. For the first six months of the email broadcasts, I focussed on separate vocabulary lists, going over the 1100 words we covered during our time at MST, and attempting to push beyond this limit, working with NT word frequencies below 10. After a while I found that I was trying to learn vocabulary that I might not actually come across in the NT for a long period of time. This became a de-motivator and I began thinking of better ways to improve, particularly as we were only covering the lexical form of the vocabulary and not their inflected forms. It was then that I realised I needed to supplement reading with translation and this quickly improved my comprehension. While, reading provided the feel of the language, translation required slowing down to parse each word and consider the syntax of the reading. This began to re-enforce the vocabulary I had already learnt, as well as adding new vocabulary from the context of the reading. 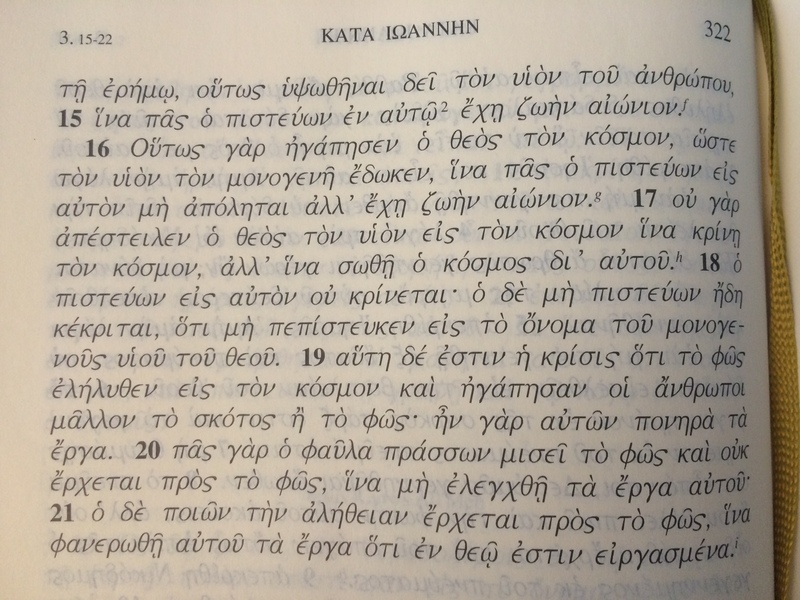 Greek translation of the above 10 verses. The idea is that for those who follow this blog, (by clicking the follow button at the top right hand of this page), a weekly email will come into your inbox. The idea is to keep it in your inbox as a reminder and work through during the week. Of course, it is completely up to you how you use this blog as it has been designed so that you can start at any time with the latest post on the website or email. You can also go back through previous posts on the website if you choose to. My prayer is that this blog will be of help to you as you work to Keep Your Greek. So, if you are ready to take the plunge then why not head over to the Keep Your Greek page in the menu bar at the top of this page and be sure to follow the blog if you would like each post to be emailed to you. ἡ χάρις τοῦ κυρίου Ἰησοῦ Χριστοῦ καὶ ἡ ἀγάπη τοῦ θεοῦ καὶ ἡ κοινωνία τοῦ ἁγίου πνεύματος μετὰ πάντων ὑμῶν. I’d like to keep my Hebrew too! Thanks Peggy and If I had taken Hebrew also, I may have been able to do something similar. All the best with your Hebrew. Thank you pastormahlon for taking the time to take a look at the blog and to follow. God bless. 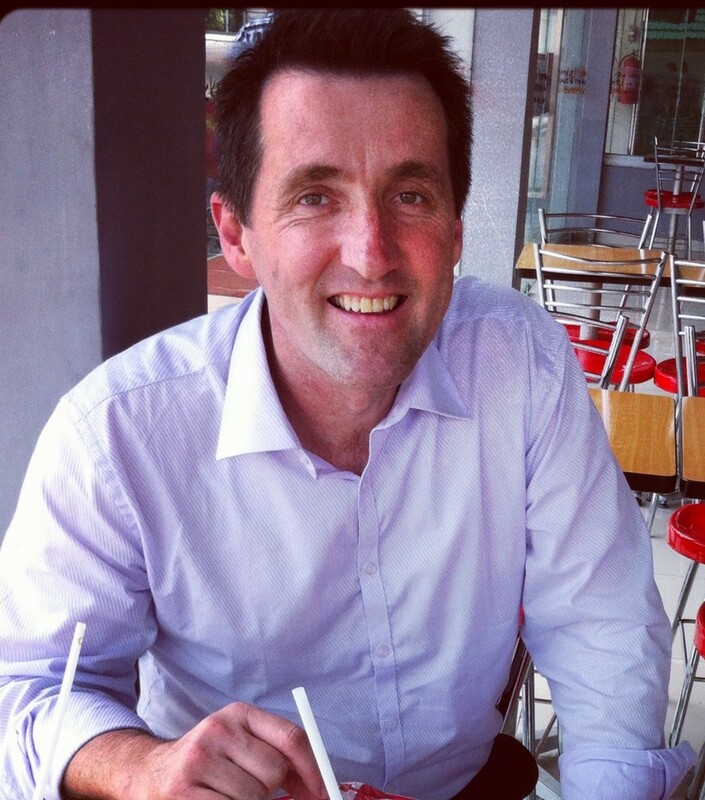 Thanks Tony for taking the time to write something on my blog! I look forward to reading yours! Blessings to you! Thanks so much for providing this wonderful resource. Keep up the great work — it’s greatly appreciated! Cheers Elizabeth and thank you for the encouragement. All the best with your scholarly pursuits.